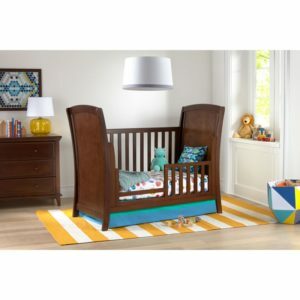 Kolcraft.com > Baby Matters Blog > Getting Ready for Baby > What is your Nursery Style? You’re known as the “earthy” mama. Organic is totally your jam and your Instagram feed would not be complete without light brown, blue, and green accents. 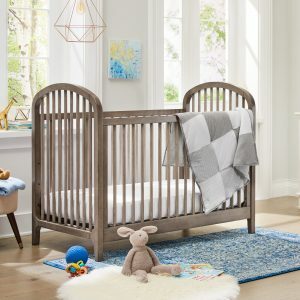 Kolcraft’s Elston crib speaks to your inner designer because it has a unique antique grey finish that goes well with jungle/woodland themes or your general boho chic theme. Recommended crib sheet pairing: Forest Palm. You’re a fan of neutral colors and classic themes. Instead of opting for a wacky nursery, you like simple color schemes like navy and grey. It’s no surprise that the Kolcraft Brooklyn crib would fit right in — its sturdy look reflects the strong boy or girl you plan to raise. 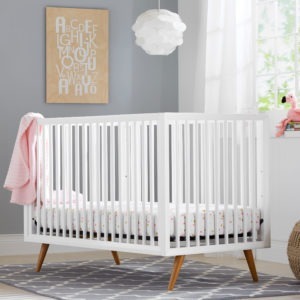 You might not have a clear vision for your nursery, but you know that the Brooklyn’s clean simplicity will go well with any design direction you’re feeling. Recommended wallpaper: Goodnight Moon. Instead of the trendy boho designs you keep finding on Pinterest, you’re looking for something a little different. You’re thinking of a specific theme-inspired nursery that emulates the creative genius of Dr. Seuss or Walt Disney. 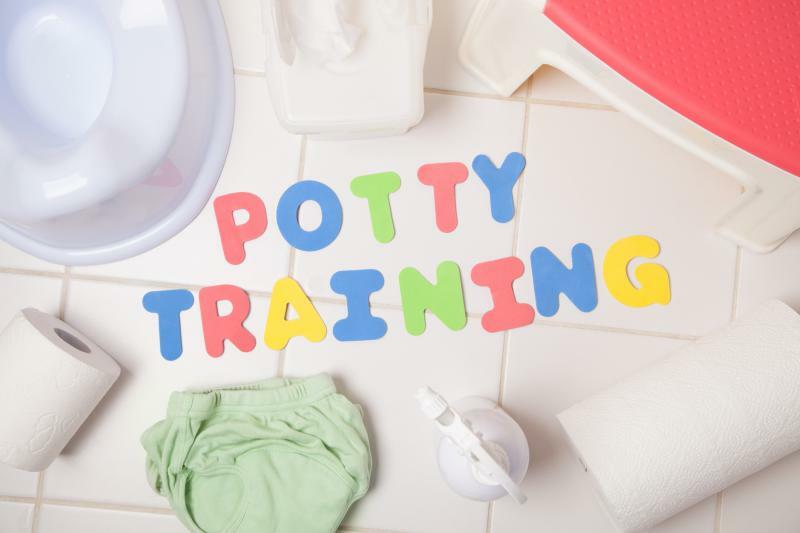 Maybe you know your little guy or gal is going to have a big imagination – falling down rabbit holes and getting into all sorts of nonsense. The Kolcraft Elise crib has uniquely curved ends that emulate that oddity / creativity you’re looking for. Recommended curtains: Charming Unicorns. 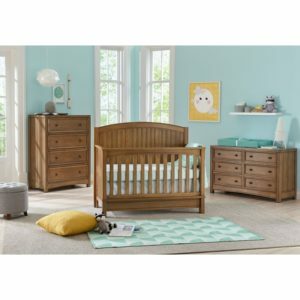 Your nursery style can best be described as “mid-century modern.” Think 1950’s home décor with an updated, nuanced twist. 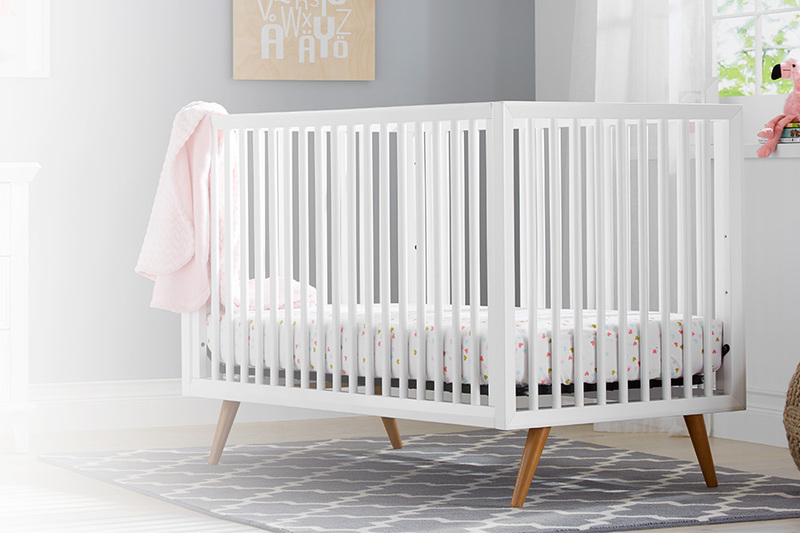 A crib like the Roscoe pairs well with pops of color throughout your nursery, but its chic style still remains the focal point. Recommended curtains: Navy Geometric. Rustic. That’s what you think of when you’re designing your nursery. Perhaps you live in a mountainous area and have a large nursery that’s in need of a large statement piece. 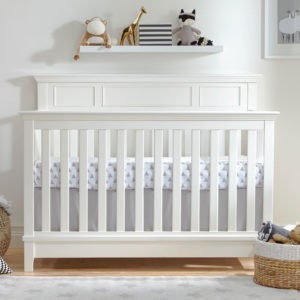 Kolcraft’s Bristol crib emulates the power and strength you want your little boy or girl to have, but the crib also emits a lightness that reminds you of the gentle, heart-warming feeling you get when you think of your little bundle of joy. Recommended wallpaper: Woodland Trees. 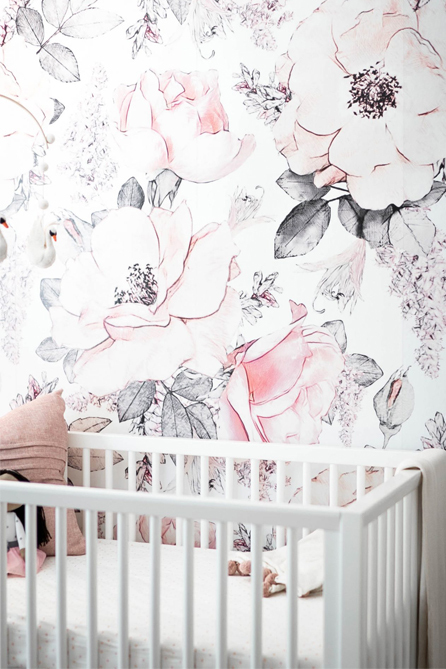 For your nursery, you’re thinking more “class” than “sass.” You envision your baby’s room with contemporary simplicity, drawing on the vintage-feel of the early 1900s. 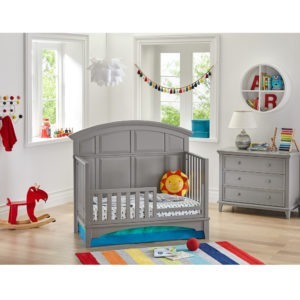 Pair the classic Harper crib with floral decor or soft shades of blue or grey to totally ace the look. Recommended wallpaper: Hazy gray floral. 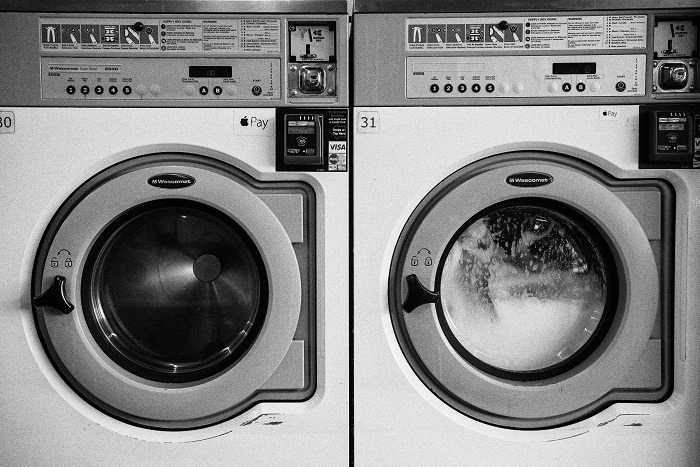 Take the quiz to find your style!